Warren Smith's tribute, telling of his personal friendship with Pastor Larry DeBruyn, delivered at Larry's Memorial Service on January 7th: https://youtu.be/NyUD_ZOMMlE. It has been one of the great privileges of my life to have known, worked, laughed, and fellowshipped with Pastor Larry. Over the years we spoke continually on the phone, exhorting and encouraging one another as we each did our individual best to warn the church about many of the false teachings that were streaming into its midst. Larry was not only a brilliant writer, he was a dynamic speaker who spoke powerfully and courageously for the Lord. His talks were always filled with Scripture and keen spiritual insight. And with so many persistent health challenges, it was always clear that Larry’s strength came not from himself but from the Lord whom he so faithfully served. Over the years and thanks to the Lord, we were able to speak together at conferences and gatherings in Wisconsin, Michigan, Oregon, California and Kentucky. We were an odd couple. Me, the somewhat hang loose California social worker and ex-New Ager. Larry the more traditional Midwest pastor and Dallas Theological Seminary graduate. But it was abundantly clear that the Lord brought us together in His timing and I am so grateful that He did. It was a classic case of iron sharpening iron as we often complimented what the other was thinking and working on. Our unique friendship in the Lord began after I wrote my book Deceived on Purpose: The New Age Implications of the Purpose-Driven Church. 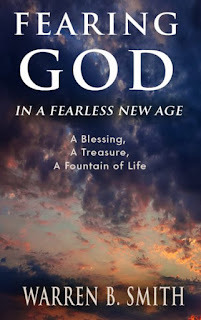 A year or so after my book came out, I received a letter from an Indianapolis pastor who thanked me for my book, and said that while I had done a good job showing the New Age influence of Robert Schuller on Rick Warren, I had overlooked the occult/New Age teachings that had influenced Norman Vincent Peale, and how Peale’s New Age influence had affected Schuller and, in turn, Schuller’s influence on Rick Warren. This Indianapolis pastor had enclosed an article from the Indianapolis Star that documented how Peale had plagiarized specific occult New Age writings and presented them as his own. The pastor’s letter and accompanying documentation was critical in adding to my understanding of the New Age influence that was showing up in Rick Warren’s ministry. I phoned the pastor and thanked him for his letter and documentation. I would later incorporate this information into my next book with a grateful acknowledgment to this pastor named Larry DeBruyn. Over the years when I came upon issues that required a more sophisticated theological approach, I would often hand the issue off to Larry. Before you knew there was a masterful article filled with his thorough research and theological insights. My contact with Larry was almost non-stop after receiving his letter and making that first phone call. It wasn’t long until I was introducing Larry to many of my discernment friends and, in turn, Larry introduced me to his close friends—the Gifford and VanWingerden families and their respective churches. What Larry initiated in that first letter to me created a chain of events and friendships that truly defines what the church is all about. His legacy is not only his important writings but the relationships that God established through him and that continue on today. One of the many things that was so helpful to me was Larry’s vast theological knowledge that included his studies in Greek and Hebrew. I would often ask him questions regarding things I was thinking about and writing. 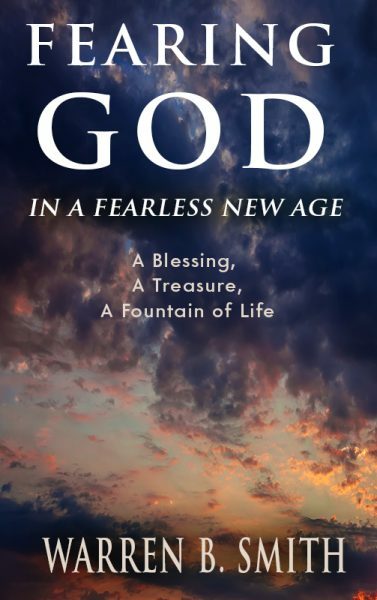 In fact, I ran something by him just three weeks ago concerning the booklet I was writing titled “Fearing God in a Fearless New Age.” As usual, his insight was practical, scriptural, and very helpful. The main point of my booklet was reminding the church of the importance of fearing God in a world that seems to have lost its fear of God. I worked on this booklet for almost 5 weeks and—as it turned out—I finished it just hours before Larry went to be with the Lord. I have dedicated this booklet to Larry—but not as some pleasant gesture to a dearly departed brother. Rather, I dedicate it to a man who represented in my mind everything that it means to fear and love and serve the Lord. In every sense of the word Pastor Larry DeBruyn was a God-fearing man. Larry loved his wife and family. Loved his friends. Loved to watch a good basketball and football game. He knew how to laugh and he knew how to cry. He was an incredibly talented and unique individual—and at the same time so very human. Larry was always Larry. What you saw was what you got. He was definitely true blue. There was no pretense and no compromise. He was very matter of fact. He said it like it was, because God said that was the way it was. I met Pastor Larry DeBruyn over a decade ago after fleeing from an unhealthy, errant church, that left me beaten down, weary, and even wary of “church”. As it happened, I had read a blurb on the Herescope blog about his book, Church on the Rise, that I wanted to read. When I contacted his church to inquire about getting a copy, I discovered that it was only a 20-minute ride from my home, so I arranged to pick up a copy of the book in person from Debbie, his faithful church assistant. Coming out of the church office that afternoon, my new book tucked under my arm, I literally ran into Pastor Larry walking down the hallway. He invited me to chat with him for a few minutes, but the minutes turned into almost two hours. We talked about church, and most importantly about our Savior, as this gentle pastor, yet unacquainted with me, heartened a very discouraged sister in Christ. By God’s grace, I was able to grasp the incredible blessing of this brief snapshot in history; a precious yet fleeting time never to be repeated in my lifetime. Steve and I developed an inseparable bond with a dear, older, godly couple who attended the church with us. Ron and Artie opened their home to Pastor Larry’s Bible studies and fellowship gatherings. Artie even traveled with me to hear Pastor Larry speak at conferences. Many holidays were spent with them—and Pastor Larry—talking about the Lord Jesus Christ and His life-giving word. Ron went to be with the Lord in 2013; Artie in 2015. Pastor Larry officiated at both funerals. Right before Artie’s service, Pastor Larry called Steve and I into a little room near her casket. He grasped our hands as we stood in a circle facing each other, his head bowed. I could feel him trembling as I looked up to see him quietly weeping, something he wasn’t prone to do publicly. He struggled to speak, but managed to say in a hushed tone, “I have given literally hundreds of funerals during my many years of ministry, but this one is tough. Please pray for me.” This was a side of Pastor Larry that not many knew. His bold, and at times, fiery writings often concealed his abiding love and tender mercy for others. He never advertised these softer traits, but they were part of him. One of the most difficult times of my life was when my mother died in August of 2014. She had cancer and was suffering from Alzheimer’s disease. My youngest sister and I spent three days with her at the care center in North Dakota without any sleep as we excruciatingly watched her slowly ebb away from us. She couldn’t speak and did not know us. The morning of her death, weary and fatigued, we struggled out to the parking lot with 35 miles yet to travel to complete her final arrangements. I said a silent prayer, asking God to give me the strength to do what I needed to do for my mom. As I turned the key in the car ignition, my cell phone rang. It was Pastor Larry. I’ll never forget his encouraging words: “Dear sister, I’m praying for you.” As I wept into my phone, he said, “Let’s pray.” I don’t know how he knew to call me at that moment, but the Lord does. That one phone call answered my initial prayer and strengthened me to finish my difficult task. Pastor Larry was a true shepherd of God’s flock. May he be richly rewarded by the Good Shepherd himself (Jn. 10:11), the Lord Jesus Christ. Pastor Larry also had a compassionate connection to young people. He constantly sought them out for witnessing and ministry. He eventually set his sights on one young man in particular; my youngest son Dana. Both my sons were born with special needs: Jimmy my eldest with high-functioning autism; and Dana with life-altering neurological difficulties. Last summer, Dana was hospitalized after a major life crisis. Pastor Larry visited him every day, and later spent hours with him praying, talking, and ministering the Word. On more than one occasion, he conducted Bible study with Dana and me over a burger and soft drink, even when it was evident that he wasn’t feeling well. Unexpectedly one Sunday morning a few weeks ago, he boxed up his own leather-bound Bible (that he purchased for himself), and gave it to us to keep. He said that he wanted our family to have an additional good study Bible. He meticulously and carefully showed me how to maneuver through the marginal notes in the most solemn manner. Then I noted the gilded imprint on the cover with Pastor Larry’s name in bold letters. What a special treasure he had given us! I wonder now if he had planned to give this special keepsake all along—knowing what it would mean to me personally—and knowing that the Lord would be calling him home soon. God knows. Pastor Larry’s writing ministry began in the early years of his full-time church ministry, as he published papers for congregational consumption, through newsletters and various articles posted to his church website. Out of his deep concern for those being seduced by heresy, he remained steadfast to the Word of God in confronting the onslaught of deception coming against the church in these last days. Pastor Larry’s comprehensive, multifaceted, and in-depth writings have been featured on a multitude of online ministry publications and websites throughout the world, as well as in his own published works. His immense body of work becomes even more astounding knowing that Pastor Larry never learned to type. It was indeed an effort of devotion as he ‘hunted and pecked’ each character onto the page himself. Pastor Larry was also an effective communicator in other venues as he ministered the Scriptures to the saints worldwide, through digital media, one-on-one teaching, and conference speaking. He was an exceptional preacher, teacher, and church planter. His careful handling of the Scriptures ministered to everyone within range of his articulate speaking, and insightful, timely writings. He truly was an itinerant pastor and protective shepherd. In the Lord’s gracious economy, He brought this gifted pastor-teacher together with an ad hoc group of Christian authors in a writing ministry known as the Discernment Research Group, a group including Sarah Leslie, Susan Conway, Dr. Martin Erdmann (our German brother), myself and others. Warren Smith became more of a silent partner to our noble endeavors. Our bonds tightened as we shared time in the discernment trenches; a lonely position not suitable for the faint at heart. We shared insights, research, and an inimitable kinship. Pastor Larry was our resident minister, confidant, and father figure. He generously shared his seasoned wisdom, friendship, pastoral oversight, biblical knowledge, and discernment—immeasurable, God-honoring attributes that penetrated deep into the lives of each one of us. One of his most enduring qualities was his ability to turn a phrase or a word into a thought-provoking, meaningful, and edifying truth. A gifted and prolific writer, he was able to unpack difficult material in such a way that inquiring Bereans could recognize heretical ideas and clearly understand the truth apart from the deception. We even invented a term—a ‘Larry DeBruyn-ism’—i.e., a carefully crafted phrase or title with a touch of humor or alliteration, such as one favorite: “saints and ain’ts”. His experience, keen insights, and scholarly intellect were lightyears ahead of me, but not once did he demean my contributions nor disparage my gender. Instead, he treated me as a favored daughter. Pastor Larry invested himself in the ministry of two nondescript housewives from the Midwest doing discernment work. Under his pastoral tutelage both Sarah Leslie and I were assisted in our writing. Pastor Larry was always excited to share insights he had just gleaned from Bible study, or new ideas for upcoming writing projects. He would always solicit feedback and inspiration. I am indebted to his dear wife, Margie, and sons David and Daniel, for sacrificially sharing their beloved husband and father with so many of us in the discernment ministry. Pastor Larry’s loss to us personally cannot be calculated. I am overjoyed to know that Pastor Larry’s physical sufferings are complete and that he is safely and eternally in the care of our precious Savior, but my heart still hurts because he is not here. Pastor Larry was not only my pastor, friend, ministry partner, and brother in Christ, but he was truly my ‘father in the Lord’. My husband Steve and I consider it a great blessing and honor to have known this prodigious man of God. In keeping with the Apostle Paul’s charge to Timothy, Pastor Larry “preached the Word in season and out, reproved, rebuked, and exhorted with great patience and instruction, was sober in all things, endured hardship, did the work of an evangelist—and fulfilled his ministry. The time of his departure came having fought the good fight, finishing the course, and keeping the faith….” (2 Tim. 4:1-6) I am comforted with the truth that we will reunite someday, “when the Lord Himself descends from heaven with a shout, with the voice of the archangel and with the trumpet of God, as we are caught up together to meet the Lord in the air, so we shall always be with the Lord.” (1 Thess. 4: 13-18) Maranatha! but proving to be examples to the flock. 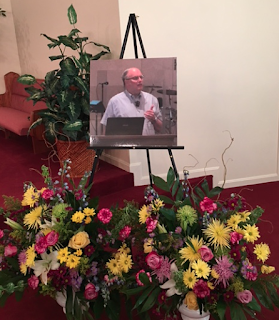 The Memorial Service for our departed friend Pastor Larry DeBruyn was held on January 7th. The service was officiated by his lifelong best friend, Bob Gifford, who pastors the Sovereign Grace Baptist Church in Dale City, Virginia. The church people were doubly sad, as they had also just lost a longtime faithful missionary, Mrs. Doom; so viewers will note there are several mentions of her throughout the course of the service. Pastor Bob Gifford opened the service with a beautiful sermon and moving tribute to Pastor Larry. He told anecdotes from their long friendship, as they both served the Lord in ministry. Pastor Gifford told how Pastor DeBruyn was obedient to the Lord at great cost to write on biblical discernment in the latter years. Pastor Bob's wife Jane then stood to read letters commending Larry's ministry while in the pastorate. Pastor Bob Gifford remembering his friend Larry. Warren Smith was unable to attend the service but, thanks to the technology offered him by Berean Call, was able to record a special message remembering his friend Larry which was played for the service. Lynn Leslie then read aloud the series of tributes mailed in (these are reprinted in our previous post). Some from Pastor Larry's mission workers also sent in video recordings which are included in the YouTube memorial service. Sarah Leslie delivered a eulogy, recalling the story of Larry's prolific research and writing with the Discernment Research Group. She told of the vast influence of Pastor Larry's writing ministry across the world, both in writing and traveling to the mission field. Gaylene Goodroad, who frequently writes for Herescope, and her husband Steve were among Pastor Larry's faithful parishioners. She related a moving story of how Pastor Larry ministered to her in a time of need, and spoke of what a blessing he was to their family. In introducing her Pastor Gifford commended the women who worked alongside Pastor Larry in discernment as 'Deborahs'. The last part of the memorial service was an extended time of sharing and remembering Pastor Larry DeBruyn. Many stood up and spoke very nice things about this godly man. He will be sorely missed! Warren Smith wants our readers to know that his most recent booklet/tract, just published, is dedicated to his good friend Pastor Larry. What a fitting tribute! Over the years Pastor Larry DeBruyn contributed in one way or another to well over 300 articles posted on Herescope. Below is the written text of the remarks I made eulogizing Pastor Larry. Mention was also made of the term 'larrydebruynism' which we all used humorously to refer to his unique turn of a phrase that so often appeared in his article titles, subtitles, and writings on Herescope. 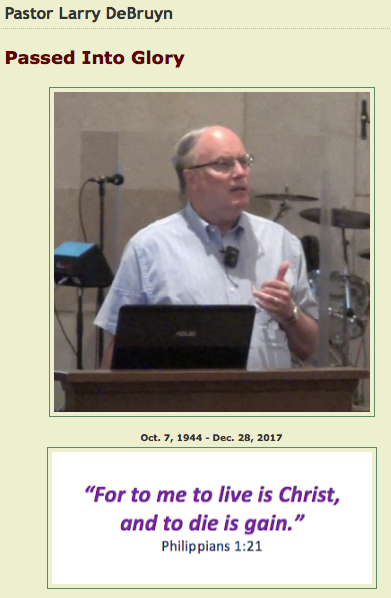 By God's grace, and with the blessing of Pastor Larry's friends and family, we will be taking steps to preserve his work and publish his writings so that his ministry will continue to bear precious fruit. I will tell some of the story of how Pastor Larry came to be a globally renowned discernment and apologist writer. In 2005 the Discernment Research Group began publishing the Herescope blog. The history of this research group goes back to the mid 1980s when my husband Lynn and I banded together with a group of likeminded Christians to research the New Age and occult that was coming into the church. We first called ourselves the Iowa Research Group, and in the early 1990s we began publishing and sharing research with discerning Christians who were banding together on the Internet. Herescope had been the name of a monthly column in the magazine my husband and I had published in the 1990s called The Christian Conscience. We had spent several decades writing, publishing and standing against the occult, paganism, false doctrines, New Age beliefs, heretical doctrines, dominionism, and weirdness that was coming into the church. Pastor Larry’s writing first came into my hands in the mid 1990s when he wrote a short article concerned about Promise Keepers, a topic that I had also written about – in retrospect it seems significant that I had written about its pagan mysticism, a subject that Pastor Larry would eventually become quite familiar with. I didn’t know who Larry was at that time, nor do I recall who sent me the article, but I remember it because it was noteworthy. 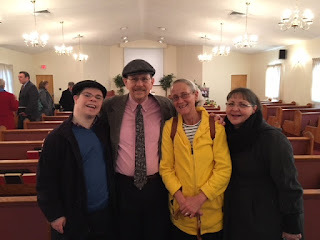 It was our friend Warren Smith, whose Christian testimony is that he came out of the New Age movement, who first introduced us to Pastor Larry. We had known Warren since the early 1990s, and had gone on to publish the first edition of his two books Reinventing Jesus Christ and Deceived on Purpose. Warren felt that Pastor Larry’s unique gifts and deep spiritual insight, as well as his scholarly style of writing, made him well-suited to our ministry’s particular mission. Indeed, Pastor Larry found a comfortable niche with our ministry. He began giving us permission to republish the discernment articles he was writing. Many discerning saints appreciated his gentle but forthright style of writing. Pastor Larry took great pains to be well-documented and researched, delivering a clear pronouncement of biblical truth against the error. Many readers expressed gratefulness that he had written a credible and scholarly article they felt comfortable printing off and taking to their pastor and church leaders. One noteworthy attribute of Larry’s personality was his clever wit and wonderful sense of humor. When we discovered that we both shared a love of satire we began to work together more closely. It all started when the late Pastor Ken Silva of Apprising Ministries and I were inventing new words to satirize the weird stuff going on in the evangelical church world. It was really a silly, quirky thing that we enjoyed doing, and it took the edge off of the dark horrors we were researching. Pastor Larry DeBruyn quickly joined in our hilarity, and added in the necessary theology to our posts. We ran a whole series on Herescope called “Neologisms for Evangelicals.” The favorites were our many deviations on the term Sola Scriptura – Plura Scriptura, Sola Mystica, Sola Experientia, MantraScriptura, and so on. How I will miss those quick phone calls from Larry. He would dictate words for me to type in, but he would have to stop because he was laughing so hard he couldn’t speak! During this process Larry and I discovered that we worked very well together. From that point forward we began to more closely research and write together. Meanwhile Pastor Larry was retiring from his pastorate. At first he was uncertain about his future. I remember when Pastor Larry called me, quite discouraged, feeling very meek that his life’s work wasn’t going anywhere. 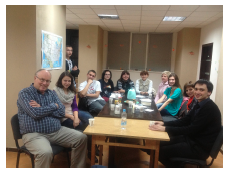 He loved his Eastern European mission work and wanted to go on more mission trips. He had become quite involved with Discernment Ministries and frequently spoke at our conferences. His articles were being read across the globe. Yet he felt disheartened, wondering if he was producing fruit for the Lord. One weekend he made a special trip to Pastor Jeff Whittaker’s church in Niles, Michigan to meet a group of pastors from Australia. A short while later Pastor Larry was invited to travel overseas by these pastors to go to Australia and New Zealand. Pastor Larry was off on his global travels! While he was still healthy he also traveled to South Africa and taught at a Bible School in Zimbabwe. God definitely did not retire him. Pastor Larry used his time not traveling to become a more prolific writer. Of the 940 posts we have put up since 2005 Pastor Larry either wrote or contributed significantly to over 300 of them. Over the years he always wondered how many “hits” we had on his posts on the blog, and then would quickly add in humility, “Not that it really matters.” But it did! Writing on the Internet sometimes feels like writing into a giant vacuum – is anyone out there paying attention, listening, heeding the warning, repenting? We very seldom see the fruits of our work. Plus, on Herescope the silly blog counter never worked right, and it didn’t keep track of visitors accurately. But I could access the real figures on the blog and I’d assure him that tens of thousands of people across the globe were reading and disseminating his articles. Knowing this, plus being blessed periodically by wonderful kind letters he received from readers, encouraged Pastor Larry to continue his tedious and painstaking work of research and writing. 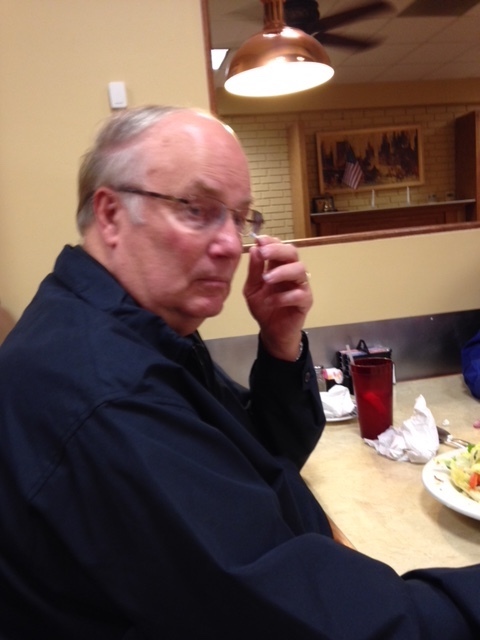 Pastor Larry became a bulwark for the rest of us doing discernment work, particularly for Gaylene Goodroad and I. We were writing about some very dark heresies coming into the church. It is an odd quirk of the Lord’s that He placed we two women in Larry’s life, and him in ours. Gaylene and I both have powerful testimonies of coming out of the occult and eastern mysticism. Gaylene was involved in the martial arts and her testimony is written in an online booklet My Life inthe Way. My testimony has never been written, but I survived the hippie era where I was deeply involved in transcendental meditation and the occult, as well as having many other extraordinary life experiences. Pastor Larry provided us significant biblical counsel on how to write about these dark heresies. He also publicly affirmed our remarkable callings and took extra steps to cover us with his pastoral oversight. Pastor Larry had a unique gift to walk the fine line between warring theological camps by standing on the firm ground of Scripture itself. He had a unique gift of being able to think through theology in a way that was not divisive but solidly biblical. We never saw him have a bitter spirit nor exhibit an attitude of contentiousness. He did not believe in attacking men, but rather focused his efforts on exposing the new (often repackaged old) bad doctrines coming into the church. Pastor Larry’s heart’s desire, often expressed to us, was to simply contend for the faith: the Gospel of Jesus Christ, His shed blood on the cross for our sins, His death and resurrection, and His soon second coming. Pastor Larry was so meek that there were several noteworthy occasions when he was working on an article where he chose to set it aside when he learned that it might fuel a dispute between brothers, or cause more contention in the body of Christ. Always he strove for peace. Pastor Larry was very bold in his proclamation of the Gospel of Salvation. He saw all heresy as an attack on the Gospel and thus he stood firmly as a watchman on the wall to proclaim the truth against the error. This often meant he had to research the error, and as awful as that was, he would rejoice even more in learning what great blessing God had given us in His Son Christ Jesus. Towards the end of his life Pastor Larry often told me that God had blessed him with great insight into how the Gospel stands as a beacon of light and truth against all spiritual wickedness in high places. This emboldened him all the more and he was writing on this topic up to the very end of his life. A year ago in December Pastor Larry’s health took a serious turn for the worse. I did not hear from him for many weeks and it seemed that he might die. At this same time we were experiencing a difficult struggle in our discernment work. I prayed fervently, then prayed and fasted, that the Lord might give us Larry for more time. About a year ago one day the phone rang. It was Pastor Larry. He started the conversation with, “I’m alive! I didn’t die!” He didn’t see my tears as I wept for joy, praising God. The extra days that God gave him to us were filled with much ministry work, a huge writing project against a new form of Universalism, and a great deal of joint research on a book he was writing against ancestor worship. The week he died I was in the midst of trying to track down a few quotations he wanted to use. It is our prayer that with God’s help these unfinished manuscripts will be completed. We praise God for Pastor Larry’s life and how it enriched ours… and yours. and that thought upon his name. The following are just a few of the tributes that were read at the Memorial Service for our dear colleague Pastor Larry DeBruyn on Sunday January 7th in Dale City, Virginia. Pastor Larry's service will be posted on YouTube in the next few days. We will put up a post with the details. When Jewel Grewe called me and said she wanted to hold a Discernment / Berean Call Conference in South Africa in January 2016, we were thrilled to hear that Larry deBruyn would be accompanying her. Having read his books and articles, we were looking forward to meeting Larry in person. Larry’s father-heart came through and we found him so easy to converse with and despite his own hardships he had experienced, his concern and love for people was evident. With a zeal and passion for the Truth he selflessly served the Church of Jesus Christ travelling to different countries with his precise teachings and power-point presentations that were a blessing to us all. Speak the peace you long to hear. Till we've seen this journey through. Of Christ's love and agony. To let you be my servant, too. Condolences from The Theological College of Southern Africa which is based in Zimbabwe. The College Community in Southern Africa expresses its heartfelt condolences to Pastor Larry Debryn's family, the Saints in the USA on the passing on of our beloved minister of the Lord's flock across the world. While it seems a loss for us all we exhort the brethren all over the world to celebrate his life as a gift from God that was given and has now been taken. We had the privilege to be ministered to by Pastor Larry in Bulawayo, Zimbabwe on the 30th of January to the 7th of February 2016. This is almost 2 years ago but we were still feeling the blessing of lectures during those days. We were continuing to pray for his return trip anytime this year but the Lord has seen it fit to call him home. We then will continue to praising the Lord for the wonderful gift that he was. Most people who know the name Larry DeBruyn, know him as a discerner and apologist. Indeed, he was those things par excellence. He wrote and spoke indefatigably against error and his work is visible all over the internet and on countless bookshelves and in the hearts of thousands. Not only did he have an excellent grasp of the theological issues but he exhibited a Christ-like spirit towards even his opponents. There are many who attempt to defend truth, but not many who do it with the right attitude. Larry was one of a select few who spoke and wrote, not because he had a chip on his shoulder but because he cared. He cared for truth, but he also cared for those who are deceived as well as those who are the deceivers. This concern for the people as well as the doctrine was no doubt borne out of his many years in pastoral work. Yes, he was an excellent apologist, but he was also a true shepherd of the flock. Indeed, he was more than an apologist. He was also a teacher who cherished every opportunity to teach the truth wherever the Lord would open a door for him – across the world, to every culture and to large and small gatherings alike. Once again, there are many who can point out error but Larry was one of a few whose passion was as much for truth as against error. As a teacher he remained faithful to the fundamentals of the faith at a time when most are defecting to the left and right. Today teachers are dime a dozen, but those who remain faithful to the faith once delivered are very rare indeed. Such was Larry DeBruyn. More than an apologist, pastor and teacher, Larry was also a friend. Many years ago I was struggling with a very difficult situation in a very difficult church. I was in despair and ready to quit. Unexpectedly Larry called and spent time encouraging me with the same comfort he had been comforted with in a similar situation. When it seemed that all others had forsaken or forgotten, Larry had not, and I will never forget his kindness at such a dark hour. Larry was a friend who sticks closer than a brother. No one is indispensable and the Lord knows what He is doing when He calls His warriors home but Larry will certainly leave a huge gap in the ministry and amongst my friends. Apart from his roles as a family man, Larry was a true apologist, teacher, shepherd and friend. His reward will indeed be great! We have learnt through TCSA of the untimely passing on of Pastor Larry. Untimely in that it was our desire for the dear pastor to continue with the good work and investment of this divine partnership. However, we accept that the Almighty had better ideas. We nevertheless take comfort that what Larry achieved will forever remain etched in the memories of those who were blessed to have interacted with. That interaction still has positive impact to this day and we prayer for its continuation in the future. Please pass our sincere condolences to the surviving families, the Christian community in the States and the wider Christian community at large. Pastor Larry’s contribution was purposeful in a life well spent. May the Lord continue to comfort all of us in the full knowledge that a reunion awaits us yonder. My name is T.A. McMahon and I’m the Executive Director of The Berean Call, a ministry founded by Dave Hunt. It’s my privilege to share some memories and thoughts about my friend Larry. When I first met Pastor Larry, the Lord had directed him into writing in the area of spiritual discernment, which he took to not only with grace but also with the heart of a shepherd who had great concern for God’s sheep in our days of growing deception. For those of us in discernment ministries we are aware of the great diversity of false teachings that the Adversary continues to use to deceive the body of Christ. Some are billboard obvious yet they are nevertheless seductive. Others are very complex and intimidating in the sense that they seem to be supported by science. It was the latest concepts of that nature, such as quantum spirituality, that were not science but rather false teachings or pseudoscience. Larry was wonderfully able to explain the errors simply and then show how they undermined the truth of God’s Word. Quantum physics and its relation to quantum spirituality was not something I was particularly interested in trying to figure out, or was even capable of, although I saw the serious influence it was having in Christendom. Those who promoted the Word/Faith Movement were using quantum spirituality to support their corruption of both God’s Word and in particular the critical biblical doctrine of Faith. Those who were into the teachings of pantheism and panentheism, that God is nothing more than an impersonal force or energy and that God is in everything, i.e., everything is God, were also deceiving multitudes. Larry made a valuable contribution through his work in debunking the false science involved thereby helping the discernment of and the equipping of biblical Christians. Larry and I spent time together in South Africa and he helped me greatly in my own lack of understanding regarding quantum spirituality. His explanations enabled me to see how the latest pseudoscientific concepts fit into the ongoing deceptions Satan had been promoting since the Garden of Eden, and which Dave Hunt and I had been writing about for decades. Larry understood that God had given him the grace—and time—to do a unique work, and he was ever so thankful. South Africa was a special time. We both took very seriously the work God privileged and enabled us to do. On the other hand, Larry was the main laugh track on the personal videos we made during that trip that featured some of my blunders, from unintentionally exploding a smoothie blender the contents of which decorated a kitchen—to the crashing of my parafoil kite in our hosts’ most cherished tree—to dredging their pool for my sunken GoPro camera. There nothing quite like having a smiling, heavyweight Dutchman towering over me each morning inquiring as to what adventure I might have in store for the day! Larry spoke at our Berean Call Conference a couple of years ago and it was obvious to all that the niche that God had called him to fill regarding discernment was wonderfully fulfilled. He finished the race by grace. I’m going to miss him, yet I thank Jesus for the time I had with him. Pastor Larry was a dear friend. I will greatly miss him. He had send me a message only two days before I heard that he was admitted to the hospital. I never expected it to be his last one to me. For nearly ten years, ever since he picked me up at the airport in Indianapolis, IN when I had arrived from Switzerland in order to drive me to the Discernment Conference in Niles, MI, I cherished his friendship and close cooperation in the Discernment Research Group. He had a keen mind and a great love for his Savior Jesus Christ. While he recommended me as a guest preacher to American pastors and often drove me himself to one or the other church or ministry venue, I don’t recall that we ever spoke about anything else but the truths of the Bible and how it needed to be defended effectively against all of the heretical teaching which had crept into the evangelical churches. I benefitted from his godly counsel and deeply spiritual insights. I don’t believe there was even one incident that I disagreed with his views on the Bible or anything else. He pointed me to resources in my research whenever he could and was glad when I was able to help him in his. Once, when I preached in his church, he gave me an expressive Bible software program as a gift. I still use it almost every day. 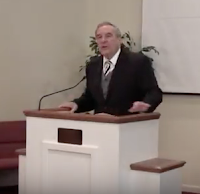 While much more could be said about Pastor Larry, when I think of him only one thought comes immediately to mind: His great dedication to know the Bible, as best as he could, preach and teach it to others with a passion, and live out its truths moment by moment in order to glorify God and be a blessing to others. Again, I miss him dearly but am glad to know that he can see Jesus Christ, his Savior, face to face now and be in His presence for all eternity. I was Pastor Larry’s secretary for over 14 years and was fortunate to get to know him very well. If you did not have this opportunity, you missed out on a very dear friend. Most of you know he was a wonderful Biblical scholar with such deep insight to God’s word, but he was also a very caring, compassionate, sensitive man. He loved the Lord, and he loved His people. There were so many times I saw the soft, gentle side of him as he was helping someone during a difficult time. He helped my husband and me during the time our 21 year old son had a massive stroke. He not only visited and prayed for Brad while we was in the hospital and rebab, but he took the time to talk with Dave and me as we were handling this devastating blow, adding his tears to ours. He was my confidant, as I was his, and I counted that a privilege. He was also a very generous, giving man. I recall one time a young lady in our church asked him his opinion of which study Bible to purchase. Knowing the family was tight on money, Pastor Larry purchased his recommendation and had it sent to her house. She was so grateful! That was just one of many, many times I saw his generosity. We would have coffee breaks in my office occasionally. Anyone who was in the church at the time would gather in my office for a few minutes of fellowship. Often it would turn into a mini Bible lesson as Pastor Larry discussed a topic that was on his mind at the time. I loved that! One thing that makes me smile whenever I think of him is how he tickled himself so when he told a joke. Everyone would laugh…..but his would always be the loudest. I think he loved the telling as much as the joke itself. Pastor Larry was a dear man and I will miss him so much. As I said, anyone who was able to get to know him well was blessed with a true friend. I was privileged to be one of them. Pastor Larry DeBruyn wholeheartedly and lovingly served his Master and Lord Jesus Christ and the believers in each church that he pastored. We were fortunate enough to live under his leadership and to become friends with him and Margie. Gaylene first discovered Franklin Road Baptist Church when we were looking for a new church home in 2008. I was cautious about getting involved with another church without understanding the church’s position on Christian doctrine and was hoping to read something more than a mission statement. I wanted to know how the church put the doctrine into practice. I found this answer in Pastor Larry’s Pastor Letters that were posted to the FRBC website at the time. He had written an entire series of letters about practical, everyday Christian living for the membership of FRBC. There can be no doubt that Pastor Larry had a true calling as a Pastor. The most compelling evidence is his fervent work after his retirement as a Senior Pastor. He continued his teaching ministry in many countries, served with Discernment Ministries in both writing and editing articles and began his own website and blog. He never retired in the American sense of retirement, instead he moved from one phase of Christian service to another. This is also true of his death. He has simply moved from Christian service in this life to the perfect form of Christian service and worship of our Lord Jesus Christ. 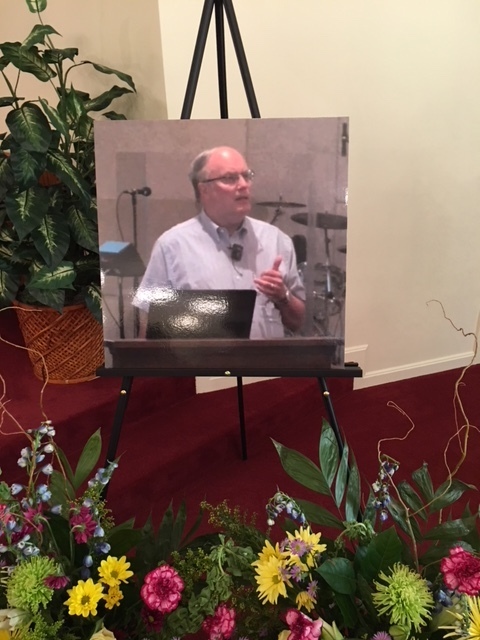 Saints whose lives have been positively impacted by the ministry of Pastor Larry DeBruyn have been inquiring about how they might be able to either listen (audio) or watch (video) Pastor Larry's memorial service. Details are still being worked out. The service will be conducted on Sunday morning, January 7, 10:30 EST by his lifelong best friend, Pastor Bob Gifford, at the Sovereign Grace Baptist Church, 14703 Silverdale Drive, Dale City, Virginia 22193. The church's website is http://www.sgbcva.com. Warren Smith, Sarah Leslie and Bob Gifford will be eulogizing Pastor Larry. For those who are a bit tech savvy, here is one method to listen. Go to Mixlr.com. At the bottom of the homepage click "Start Free Trial". It will take you to a page where you can download the app where it says you can try it for free 14-day. You will have to set up a user name and password in order to use the app. Search for SOVEREIGNGRACE. Check back frequently on this blog as we will post updated information, as we learn more details. There will be other listening options. 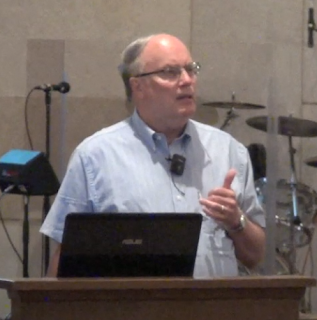 A video of Pastor Larry's service will be posted on YouTube in a few days. Stay tuned. . . . Written memorials expressing how Pastor Larry positively impacted their life of faith can be submitted to herescope@gmail.com. These will be provided to his wife and family. Please keep all in prayer in the days and weeks to come.